Above is an unusual image taken by John C. McConnell from Maghaberry, N. Ireland on March 13th 2007 using a Canon 400D digital camera. 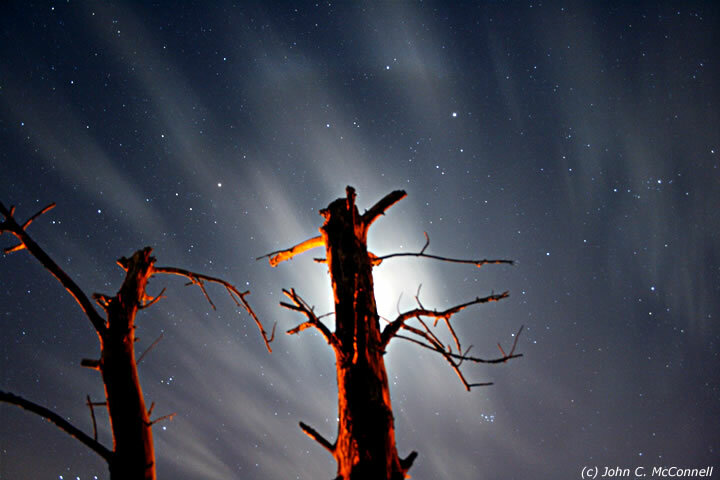 A partial or 'fragmented' Moon halo can be seen on high level cirrus clouds complete with colour. Orion's Belt can be seen to the lower L, Perseus with M45 to R, and Mars near M35 to the L. John used a tree to block the Moon's intense glare for this short exposure.